DeAndrea’s professional focus as a REALTOR  in las Vegas is to provide detailed individual care to each of her clients. Whether you are buying or selling the process can be difficult and overwhelming at times and it is important to have a REALTOR who truly listens to her clients and works to meet their needs first. As a results-oriented professional that balances aggressive strategies, market knowledge and negotiating experience with a high-level of integrity to her clients. 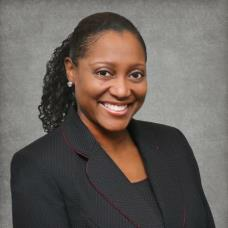 DeAndrea commits to keep her clients informed throughout the real estate process while meeting their needs. Born and raised in Las Vegas, DeAndrea understands the market like no other. With a background in Mortgage Lending, her knowledge of all aspects in Real Estate is a great asset to her clients. DeAndrea obtained a Bachelor’s of Science Degree and worked for the Pharmaceutical Industry before taking a break to care for her family. She now brings together her excellent interpersonal , negotiating and rapport building skills to all of her clients.